A great visual introduction to the multiplication tables, suitable for all children, particularly those encountering their times tables for the first time or those who struggling to remember these facts. A great introduction to the 1-10 multiplication tables, not only presenting a series of questions, but also combining diagrammatic representations allowing children to visualise and even count when unsure. 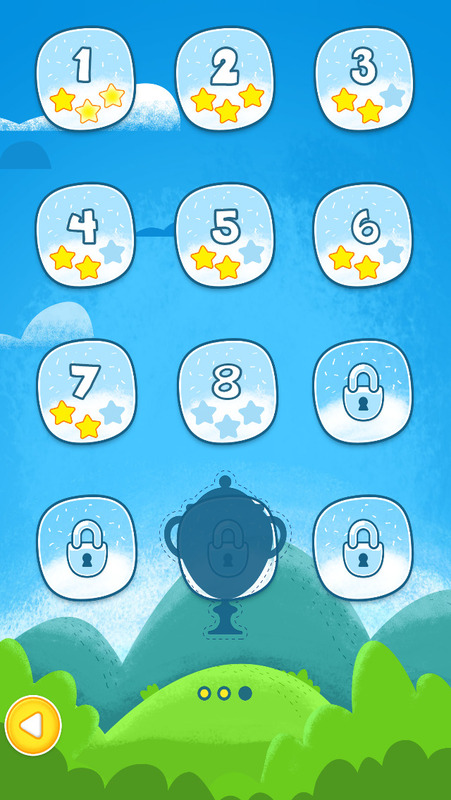 Upon opening the app the homepage displays 12 levels, the 1 to 10 multiplication table and a further 2 locked levels, each with three blank stars below. Levels begin with an introduction to the chosen multiplication table, in order initially, with questions displayed as numbers but also represented visually, allowing children to answer the question directly or use the diagrams to count in groups. This approach is an ideal introduction for children encountering their times tables for the first time, or for those children who struggle with the concept of number and need this diagrammatic representation. Children are given multiple choice questions. When the correct answer is pressed the next question is displayed, while an incorrect answer is pressed, the question remains on the screen. This method ensures that children learn the correct answers and do not learn mistakes. In terms of the mathematical learning, the developers reinforce this point by incorporating spaced repetition into the app. This is an approach whereby mistakes are presented more often than questions answered correctly, and this continues until children begin to answer these questions correctly. The object of the game is to achieve 3 stars in all 10 of the tables and the two additional bonus levels which contain a mixture of the tables. Upon completion children are deemed to have mastered their multiplication tables. Whilst practicing, they are awarded 2 stars for completing a level with accurately and only 1 star is if several mistakes are made, this ensures that children repeat and learn from their mistakes. To obtain a third star, children must repeat and complete the level with accuracy. Only after collecting all 3 stars for each level, and completing all 10 levels are the final two bonus stages unlocked. At present, upon completion of the app, the game is finished. However, the developers may consider extending the scope or playability, for example, the addition of a timer would allow the user to identify their quickest time, similarly, reversing the order questions are presented (3x2 as well as 2x3) would deepen the child’s learning, or incorporating division, the inverse operation, would add a further level of complexity. Overall worthy of a four star rating. Clearly thought out learning, pictorial representations of mathematical concepts, and spaced repetition used to ensure children do not develop gaps in their mathematical understanding. 1x1 helps to teach and train how to multiply two numbers up to 10x10=100. The app doesn’t use any words, so the app can be used in any language. The app is tested by teachers, what you can find in references. 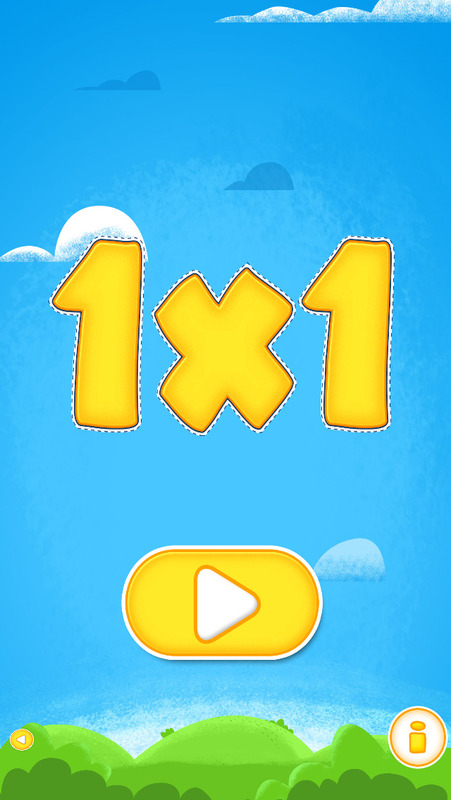 theappyladies.com/1x1 : "1×1 is a fantastic way to learn and practice math facts. I recommend 1×1 for ages 7-10, (...) and special needs students." The app is split in 12 levels. In every level there are ten equations, which the player has to solve. 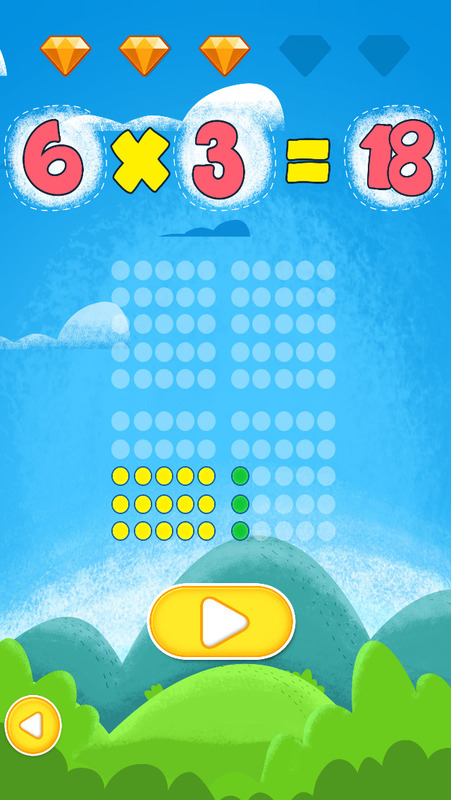 The app contains all possible multiplication equations with the numbers from 1 to 10. That means, the questions are repeated until the player gives the right answer. Thus, the answers will be incorporated into the memory. So it creates a real learning effect. If the player answered all correctly, then the level is finished. And the next level will be open only if the scores are enough. To earn the third star, the player has to play the level again, this time even without the help of the balls. In the second last level there are 17 randomly selected equations of all equations asked again. In the second level there are 25 randomly selected equations of all equations asked again. The player could play the last level again and again for good exercises. 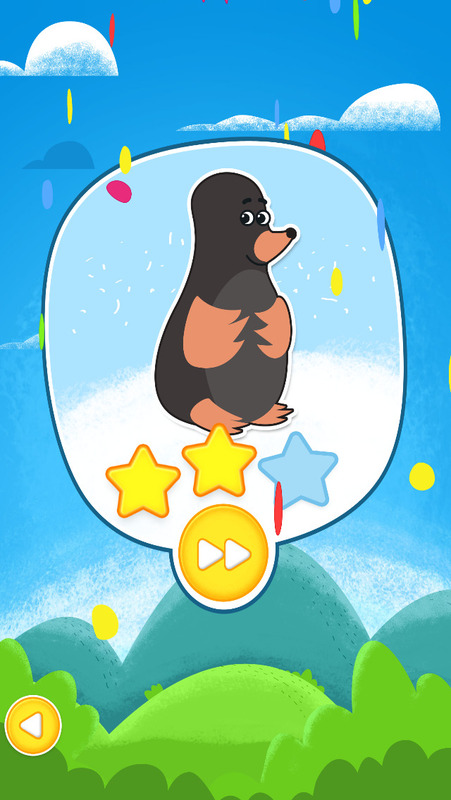 The game is finished, when the player has received all the three stars for each level. or another player could do the exercises or you can replay the last level again and again for good training. Please notice, that our apps are real educational apps, made​​, among others, for the classroom and homework. In our apps the education is more important than fun. Our apps create a real learning effect. Our apps are more likely doing homework instead of playing a game. So it can be some work for children to finish our apps. It might be helpful if the parents or teachers support the child's motivation. 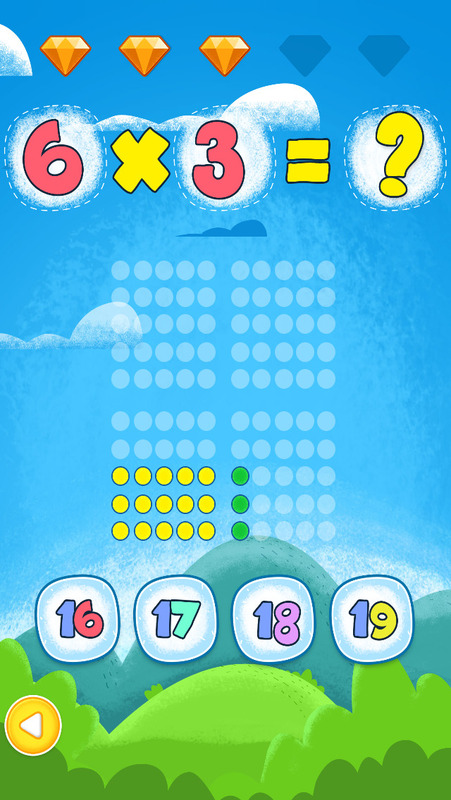 Therefore the reward of the work is that the player will master all multiplication tasks up to 10 in the future without problems. In the category 'more apps' you can find other apps we produced. The app can also be played by adults for good exercises. The tasks are the same, just the design we produced more for children.